Luxury condo shows better than new! First Floor Master!! Fantastic open & airy condo full of natural light! Larger than other models & upgraded throughout including: dark hardwood floors, kitchen cabinetry, New High End LG Black Stainless Appliances, granite counters, gas fireplace, ceiling fans throughout, dining lighting, Nest thermostat & humidifier added to HVAC system! 1st flr master suite features his-and-her sink, private water closet, walk-in closet & floor-to-ceiling tiled shower complete w frameless glass. 1st flr laundry in the mud room off of the garage, which is upgraded to fully insulated and added cabinetry. Tons of storage! Extended custom stone patio with a fence that can be removed if desired. 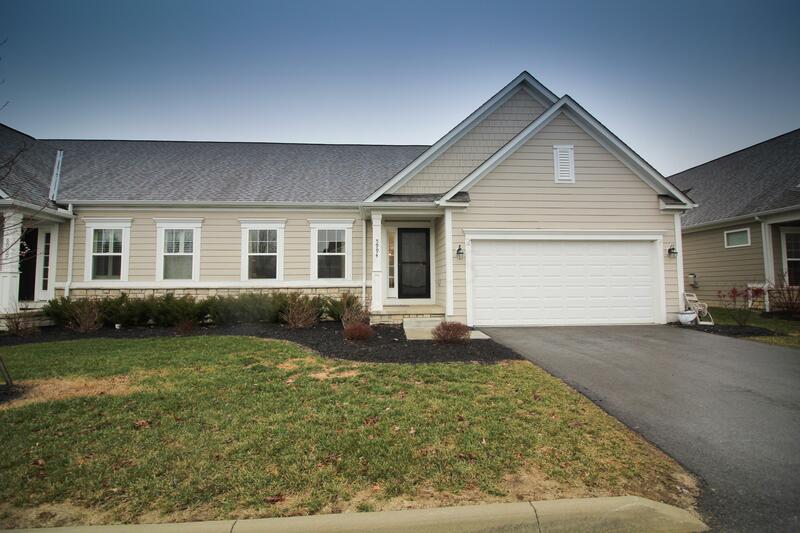 Located close to trails, schools & all the offerings of Old Hilliard!